Choices. We make them every day. But what if one last choice determined your fate? And you didn’t know it? All it might take is a push in the right direction. Or the wrong one. 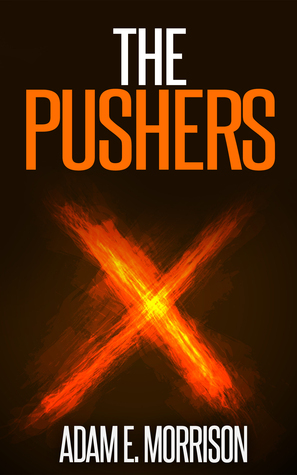 The Pushers’ premise involves troubled characters whose existences are altered so that they may fulfil a role never before carried out by humans. The differences between them may determine the fates of many, including themselves. When I first read the summary for this novel it had me intrigued, however it wasn’t what I thought it would be at all. I struggled from the beginning to be honest. The novel jumped back and forth between several main characters which resulted in me being unable to form an attachment or liking for any of them. The continuously shifting scenes and viewpoints made it difficult to follow and I nearly gave up at several points as I just struggled to understand what was going on. Adam E. Morrison is a good writer, but in my opinion the novel needed to be better paced and that more time should have been taken on the storyline as it just felt as though the original direction had been lost. The main characters should have been better developed; they need to have some kind of impact on the reader. As it was I felt indifferent towards them. By the end of the novel I was left feeling somewhat frustrated and disappointed that I hadn’t been able connect to it and the characters. This entry was posted in book reviews and tagged 2 stars, horror, reviews. Bookmark the permalink.